My special thanks go to bionicbob who was so kind to create a nice cover, and to testingfazed for previewing the edit. Removing the unnecessary subplots and action scenes, improving characters' motivations and reforming the story arc to make sense as a single movie. Too many to list and it would spoiler things. I'll try not spoil anything here & keep it short & sweet. This is more than a very good attempt to mix these 3 movies together. Its got a good pacing & jumps pretty well between movies. The only thing that stopped me dead in my tracks was the very jarring scene were you know who & you know who succumb to mind fatigue. But that can be forgiving as fixing it would require another large portion of story to be put back in & that would take away from the excellent direction newspock took it. I say you can't go wrong with giving this a go if you get the time. I'm a little torn with this one. First thing, of all the attempts I've seen to mash all 3 movies into a single film, this so far, is the best one. That's not to say it's perfect, but for the most part it succeeds. Fortunately, what it got wrong may be fixable and I can point out some errors and recommendations. I think your Ep3 probably needs the most extensive tweaking because it does get a bit janky near the end. What it got right was the overall narrative and choices of certain things to cut completely...and the transition from Ep1 to Ep2 was practically seamless. Before I get to the list of suggested fixes, I do want to reiterate that this is so far the BEST edit that mashes the trilogy into one film...so there is definitely that. It just needs some tweaking IMO. - Shorten the pod race. It went on a little too long. Also cut the stupid announcer down, lose Jabba, and cut out the introductions to the racers. All of that is unnecessary. I believe HAL9000 accomplished this well. If you insist on keeping that stuff, maybe refer the Heavy Star Wars I for a better way to make it look "sportsy". - Lose the bit where Yoda and Mace are talking at the funeral. That whole line about only two and one being destroyed doesn't make sense with your edit since you cut out Maul entirely and there's no sense that he died from the Jin encounter. It seems like a minor enough thing to just forget and not bring back up. Sidious could easily have more than one apprentice since they don't exactly follow rules. - For Ep2, I'd lose the scene with Obiwan in the library. It's awkward and is also kind of pointless. He ends up having the exact same conversation with Yoda anyways later. - Transition into Ep3 differently. Your transition into this episode is pretty jarring. If you're going to skip Grevious completely, why bother keeping any scenes about the rescue or keeping any dialogue mentioning him? Go from the wedding straight to dropping off the senator at the hangar bay. It would feel softer of a transition than cutting to an unexplained rescue (that was only explained in the opening crawl for Ep3). So go from the wedding straight to 2:04:37 and also cut out the Mace dialogue here. Go directly from 2:05:17 to 2:05:40 because why discuss Grevious who isn't in the film and why "make finding him our highest priority"? - You may also want to toss the whole scene about flying to the planet where Grevious was. This includes the scene at 2:16:03 and all of the non-Anakin, non-Palpatine moments between that point and 2:19:50. Use this time to focus on Anakin. - Cut the dialogue "You are under arrest my lord". It doesn't fit Mace's actions moments later when he says he needs to kill him. Also cut the whole "I told you it would come to this! The Jedi are taking over" because it also makes no sense considering he just told him he was going to turn him in to Mace and Palpatine - Anakin and everyone else knows this. It's silly. Rather just go from Anakin approaching to "The oppression of the Sith will never return". - Also from the scene above, cut the pause between "I'll do whatever you ask" and "Just help me save Padme". That part where Palpatine says "goooooood" is dumb. Also cut the "Thank you, my master" after he's dubbed Vader. It's also bizarre dialogue. Also cut at 2:31:16 to lose that whole "I understand master" it's another odd piece of dialogue. This scene works better with Anakin's mouth shut. - If there's a way to drop Obiwan's scene coming up from the water, and just go to the part where he says the clones attacked him, that would be better. There's no explanation how he ended up in the water. Your whole Jedi killing sequence is cut pretty hard. Maybe let this one bit play out more like the original film...? Probably skip showing Yoda's part in this since there's no explanation why he was on the wookie planet. - For the final battle, I would find a way to cut out that lava waterfall part. If there's a point where you can cut from them jumping down from the room they're fighting in or from that first pipe they're balancing on to the discussion just before Anakin gets chopped up, I think that would be less over-the-top. - And lastly, keep the Vader creation sequence up until the helmet closes and we hear the breathing for the first time. No need for the Noooooooo...or maybe borrow the whole ending sequence from HAL9000's edit because it's pretty great....including the birth of the kids and the "nooooo" being turned into grunts, and Padme not dying (which is vastly better for continuity with RotJ). I was lucky enough to get a sneak peek at this edit and I was glad I did. The prequels are troublesome, this is no secret. Just look at the sheer amount of fanedits on this site for examples of the myriad problems with the series. This ambitious edit attempts to mash all three prequel films into one coherent movie and I am glad to say it succeeds. I was pleasantly surprised to see a lot of the action scenes cut out but it harkens back to the original trilogy where the stunt choreography served the story and wasn't the showcase. The story was concise, easy-to-digest and took a lot of the b.s. from the prequels out. 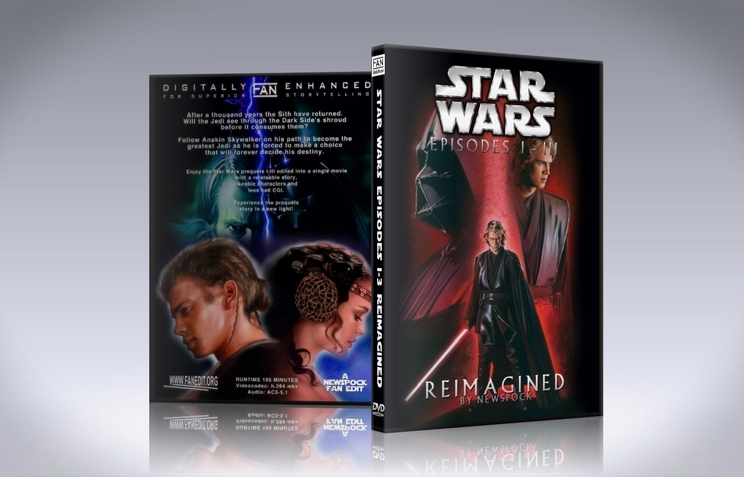 There are some really cool narrative cuts that completely re-work the story of the prequels into a new beast, especially with the characterization of Anakin Skywalker. I don't want to spoil anything but there is a huge gamble with the material from Phantom Menace and it pays off. 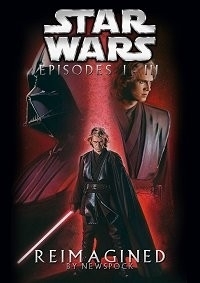 If you are in the mood for a quick brush-up on the prequels before marathoning the original trilogy this is definitely the go-to. Check this edit out, it's really well done!